Carpets are the largest filter in your house, therefore it is important to keep them clean. A good maintenance plan for keeping your carpets clean is to have a hot water extraction cleaning done at least once every 12-18 months, which is necessary to be able to maintain most warranties. Our carpet cleaning machines are state of the art with patented technology. All of our products are VOC compliant (volatile organic compounds), meaning they are not harmful to your family, your pets, or the environment. Additionally, we use a variety of solutions specially formulated to address pet stains, odors, traffic lanes, wool, and those with sensitivity to fragrance. Encapsulation cleaning is also known as “Very Low Moisture” cleaning. It is designed as an interim cleaning method between Hot Water Extraction cleanings. It works especially well with commercial carpets when you have a large area to clean and a short window of time to do it. It is also budget friendly since you are able to clean up to 10 times more square footage per hour than with Hot Water Extraction. The process of encapsulation is simple. We use a counter-rotating brush system utilizing an encapsulation solution made primarily of a polymer that when it attaches itself to dirt surrounds (encapsulate) the particles and holds them in suspension until dried. At that point, it becomes very brittle and allows you to vacuum up the soil and the solution. 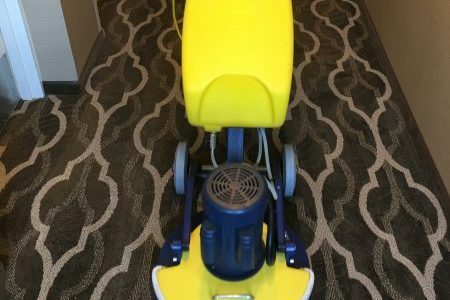 The advantage is that it also leaves behind a stain guard so that, quite literally, the more you vacuum, the cleaner your carpet actually becomes because you are continuing to break up the soil load. This system does require that you follow up the cleaning by vacuuming your carpet 24 – 48 hours after the cleaning. It does not void any type of Stain Master warranties. Pre-Grooming: Because constant use causes the fibers of carpets to bend and trap dirt underneath them, we begin by lifting the fibers which allows the total cleaning to be more effective. 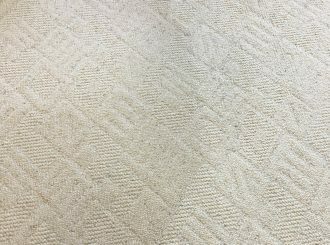 Dry extraction: Now that the fibers are lifted, we vacuum the carpets to remove insoluble dirt before we start cleaning. 70-80% of the dirt in the carpets are insoluble; such as stones, gravel and miscellaneous items. We apply a pre-spray to break down the organic soils and dirt within the carpet. It is given time to dwell and begin the cleaning process. Fiber Rinse: We rinse the carpet with a fiber rinse (acid based) that breaks down the alkaline of the pre-spray. This is an important step that neutralizes the alkaline cleaner so you do not have residue left in your carpet when we are finished. Leftover residue becomes sticky over time attracting dirt, debris, and soil in the same spot, which makes it appear like the same stain is coming back time and time again. Extraction: All of the dirt, soil, and materials are extracted from the carpet onto our onboard waste tank where it is disposed of. 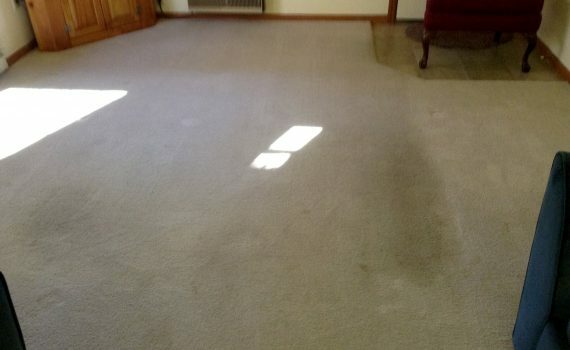 Your carpets are left clean as well as deodorized. 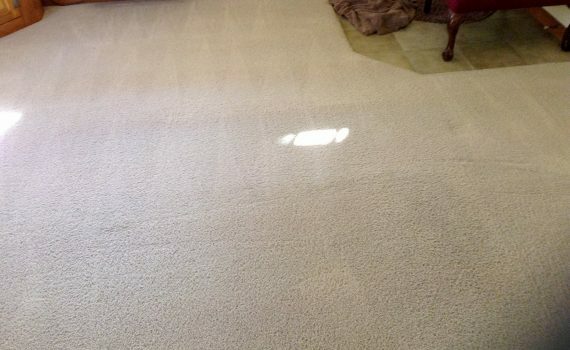 Our final step is to groom your carpet to ensure the fibers are upright and your carpet looks fresh and clean. How long does it take for the carpets to dry and how soon can I walk on them? Drying time varies based on airflow and humidity levels. It is recommended that you give the carpets at least 4-6 hours to dry, however in some cases, it may take longer. We will provide shoe covers for you to use in case you must walk on it before it is dry. Furniture can be replaced when the carpets are dry; however, some people will wait till the next day to put furniture back in place. Do I need to move the furniture from my room(s)? Our “Quoted” rate is based on having the space ready and cleared. We are able to move couches, chairs, etc. However, we will not move large, fragile or expensive items due to liability restrictions. This may include china/curio cabinets, entertainment centers, TVs, aquariums, desks, file cabinets, oversized plants, pianos, pool tables, bookcases, grandfather clocks and appliances. We will clean around these large pieces. Is stain guard really necessary? Although most carpets carry a warranty against staining, an occasion mishap will occur. Stain guard allows enough time to get the spill out of the carpet before it causes further staining. It is not required, but highly recommended. Newly Restored offers a 100% satisfaction guarantee for all of our services. We assure you that soils will be completely removed from your facility, not just moved around. Call us today for a free estimate! © 2019 Newly Restored | All Rights Reserved.